Keep enjoying your outdoor spaces into the night with LED landscape lighting. From functional outdoor kitchens to festive outdoor living rooms, get ideas for your spaces! Enjoy these landscape lighting ideas from some of our favorite projects. 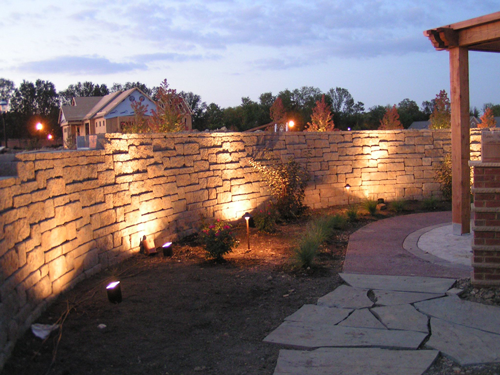 From architectural highlights to landscape features, LED landscape lighting is only growing in popularity. Let us help design your landscape lighting portrait and showcase your property to its best advantage. Now is a great time to beautify your house and landscaping for your holiday events.